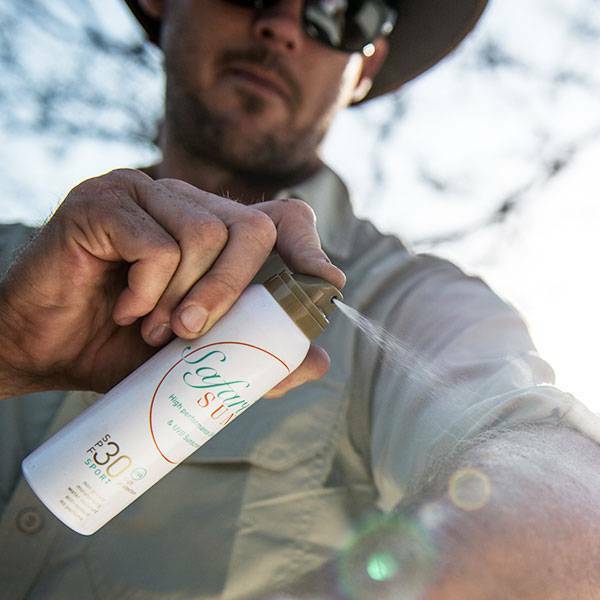 Don’t take chances with water-borne diseases and stay hydrated on African travels, outdoor adventures, or when the reliability of your water source is in question with this portable water purifier. A clean and safe water source is more than a question of convenience. It is a matter of survival. 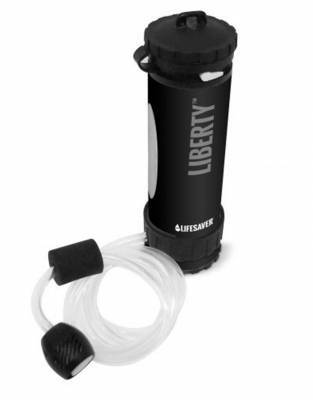 The LifeSaver Liberty™ Water Purifier is the only design of its kind - giving you a personal, portable water source for travel and outdoor adventures. 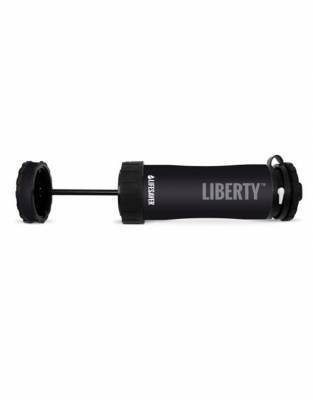 Small and lightweight, it is especially suited to the lifestyle of outdoor enthusiasts. 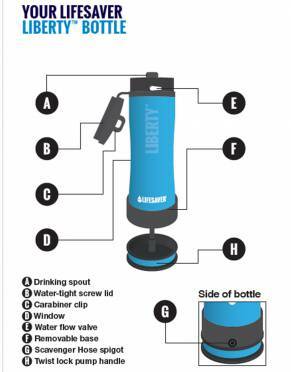 Combining a bottle and in-line pump, it is easy to keep with you on the back of game viewers or on walking safaris. 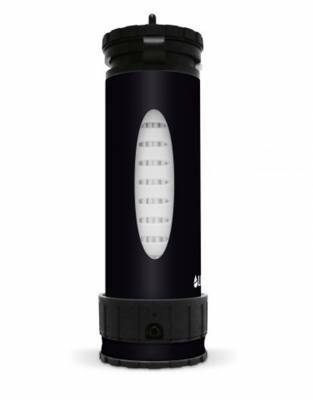 LifeSaver filtration technology is proven to be an effective purifier. 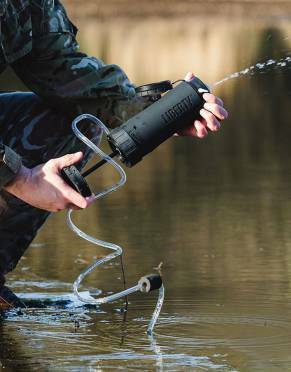 The Scavenger Hose is 5 feet long and can be used to draw water directly from your chosen source - whether that is a hotel tap or stream, giving you easy access to large volumes of water which can be filtered directly into other containers for extra convenience. 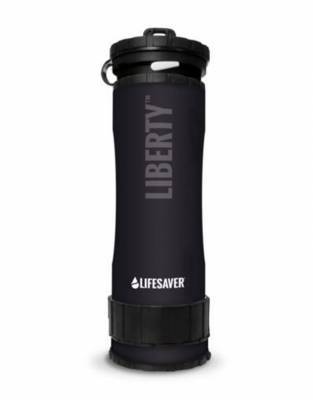 This bottle also has FailSafe technology which does not allow water to pass blocked membranes for ultimate user safety. 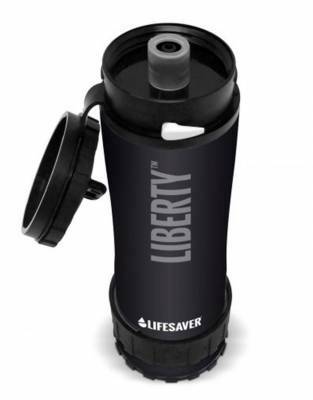 Unlike other systems on the market, the LifeSaver Liberty™ Water Purifier does not require chemicals, electricity, or strenuous sucking or pressing to work and uses SteriTouch antimicrobial materials which are BPA and BPS free for great tasting, odourless water at home and on the road.